“ American Indian” and “ Alaska Native” students are not seeing the same success in education. In our countries public K-12 schools the numbers are more racially diverse than ever. Thanks to a growing number of Latino and Asian youth populations, students of color now outnumber their white peers. Formerly one in five students were a minority now half of the children under five. We may need to revisit the word” minorities”. According to analysis of the U.S. Department of educations demographic data American Indian and Alaska native trends are even more tenuous. The numbers for these indigenous children are so low they can tend to be forgotten. They often attend charter schools or language immersion schools. Many of these schools teach indigenous worldviews which has been challenged by a few federal courts as they emphasize “ Native Ways of knowing”. However these programs are not always the best, often dilapidated and unsafe and plagued with bureaucracy and unstable administration. This leaves Native American students far behind. Even though the public school population continues to grow the sizes of these subgroups are projected to shrink. Students identified as white or Native American will decline the most. The same is true with high school graduation data. Hispanic and Asian students are slated to increase whereas white, black, American Indian, Alaskan natives are expected to do the opposite. College enrollment is following the trend. The numbers of Native Americans in public K-12, graduating from high school and going on to an institution are expected to change through 2024. 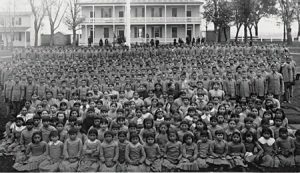 Even amongst the data that shows that Native American families have been seeing higher than average birthrates and the American Indian population is growing twice the rate of the general population we see a discrepancy in the educational system. Some of these incongruities maybe due to the fact of how our textbooks portray American Indians in our classrooms. Native American parents, one who is white and one who is Navajo may check the white box on paper possibly due to negative stereotypes. Some families may want to distinguish themselves from poor educational outcomes often associated with indigenous populations. It is been reported that the American Indian and Alaska native students have the highest dropout rates in the country. They performed poorly in math and reading and this may explain negative perceptions. They are more likely to be placed in special education classes in the discipline rates are second to black students. One other reason may be a result of school policies which do not teach native students to adapt culturally but possibly suppress tribal identities. Barack and Michelle Obama are advocating for better support for the American Indian youth and have launched a new initiative called Generation Indigenous. This project will bring more resources to indigenous children and their families. “The issues Native Americans face are a result of a long history of systematic discrimination and abuse”. This school was founded by the United States Government to assimilate Native Americans into the mainstream society, upon which hundreds of Native American children were removed from their homes and tribal cultures, sent to these schools to be educated, taught a trade and required to conform to Euro-American society. Because of Bureau policies, students did not return home for several years, many of whom died and were buried in the school cemetery. Note: The museum houses the original records and copies on microfilm. There are copies of museum archives on microfilm at the State Library in Sacramento and the Public Library in Fresno. - Cost of workshop: $45.00 per student includes material. June 20th, 21st or 27th, 2015 Cost of workshop: $75.00 per student includes materials cost. 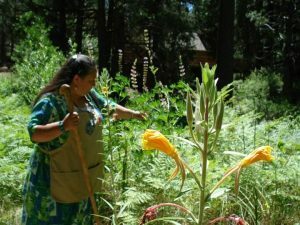 The Mother Earth Clan Cultural Presentations: offering cultural programs and presentations on California Indian material culture. Presentations are available to schools, museums, and public/private groups and for teacher/docent training. Culture Sharing with Sherman Indian High School Students and Culture Traditions staff. Mitsitam Cafe - Native American cuisine in Washington D.C.
Information on American Indian casinos throughout the U.S. The Kahnawake Gaming Commission based in the Mohawk Territory of Kahnawake is one of the largest online gaming regulators. Try out the free games at the Kawnawake licensed Slots.LV. Redeem this Slots.LV bonus code for $22 in free credits! Or visit Intertops which is another Kahnawake licensed site. Find the latest Intertops bonus codes here courtesy of Bonus Promo Code.